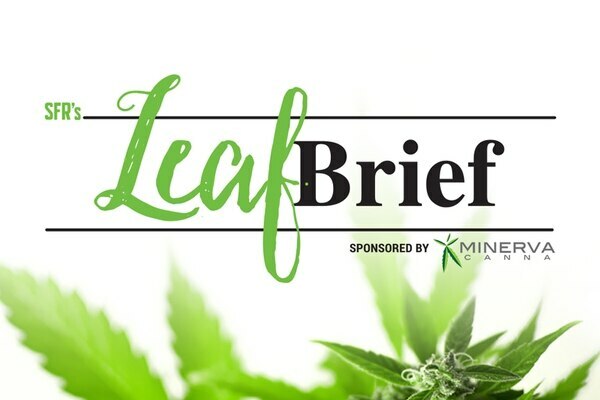 Welcome to the Leaf Brief #4. Over the last month, SFR took a deeper look at New Mexico's wacky policy of banning CBD from out of state while simultaneously keeping producers' plant counts absurdly low, leading to an almost inevitable shortage of CBD for patients. Keep reading for some of the most interesting nuggets in cannabis news this past month. Ahead of increasingly probable hemp legalization at the national level, Project CBD published a helpful primer on CBD derived from high-resin cannabis plants versus hemp stalk, since so many new companies claim to be selling CBD derived from hemp plant. The organization says the best CBD comes from resin-rich flower tops of CBD plants, while hemp is probably best left for other purposes, such as industrial material or protein powder. Journalist Martin Lee got deeper into the differences between "hemp" and legal "cannabis" in this fascinating piece. The herb has long been touted for its ability to alleviate symptoms of chemotherapy, but a recent study from the Pancreatic Cancer Research Fund "found that using CBD alongside current chemotherapy drugs increased the survival rate in mice with pancreatic cancer when compared to those treated only with traditional chemo alone." The study was specific to that kind of cancer, but it's a promising finding for other forms as well. Would you believe it? Everything from the plastic packaging used to transfer cannabis commodities to the nutrients and fertilizers from growing the stuff is clogging gutters and filling landfills. It's a systemic problem that increasingly rears its head wherever there's a medicinal or recreational cannabis market. SFR reported on plastic waste from cannabis dispensaries in Santa Fe last month. In Ohio, where medical cannabis was recently legalized, hundreds of jobs will be created for everything from accounting to budtending as the state's 56 newly licensed dispensaries open their doors. Here in New Mexico, meanwhile, The Santa Fe New Mexican reports that individuals and companies associated with the medical cannabis industry have sent nearly $50,000 in contributions to state candidates and political action committees during this election; that's about twice what they spent during the 2016 elections. The largest cannabis market in the country is a big ol' mess following the introduction of adult use. Part of it stems from local laws that conflict with the new state law that broadly legalizes the industry and cannabis consumption: "The fledgling legal system has created a patchwork of local laws, with some cities and counties embracing legal cannabis while others have limited sales or outlawed all commercial pot activity." Combined with unclear testing standards and larger companies trying to secure their own market share, it's not an easy transition. At least New Mexicans can learn from how California tries to navigate it all. If you're not American and you're coming into the country and you've used cannabis or been associated with plant in the past, uhhh maybe don't say anything when border officials ask you about it. 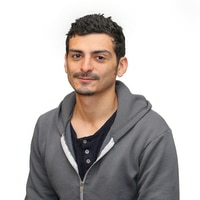 That's something cannabis business executive Sam Znaimer learned the hard way, after being questioned about his investments and then getting banned from visiting the US for life. Canada recently legalized cannabis, and Mexico's new president appears more sympathetic to the plant than the country's previous administration, so this may start coming up more. Of course, wealthy white businessmen aren't usually who US border officials target, so expect these stories to travel. Instead of "beer me"—get it? Because, ah, beer companies are investing in cannabis. The corporation Constellation Brands, which owns the Corona beer brand, SVEDKA vodka and Casa Noble tequila, just invested $4 billion in a cannabis company called Canopy Growth, which is based in Ontario. It's probably too late at this point to stop cannabis from getting all suit-and-tied-and-white-boyed-up, but on the bright side, at least it's making Jeff Sessions jump through miles of mental gymnastics to justify his hatred for cannabis with his long time commitment to the not-so-subtle-dog whistle of states' rights politics. Phew!